Virginia is home to six American Viticultural Areas (AVA), with a seventh in the works. The smallest, in terms of number of wineries, and perhaps the most secluded of the Virginia AVAs is the Eastern Shore AVA. 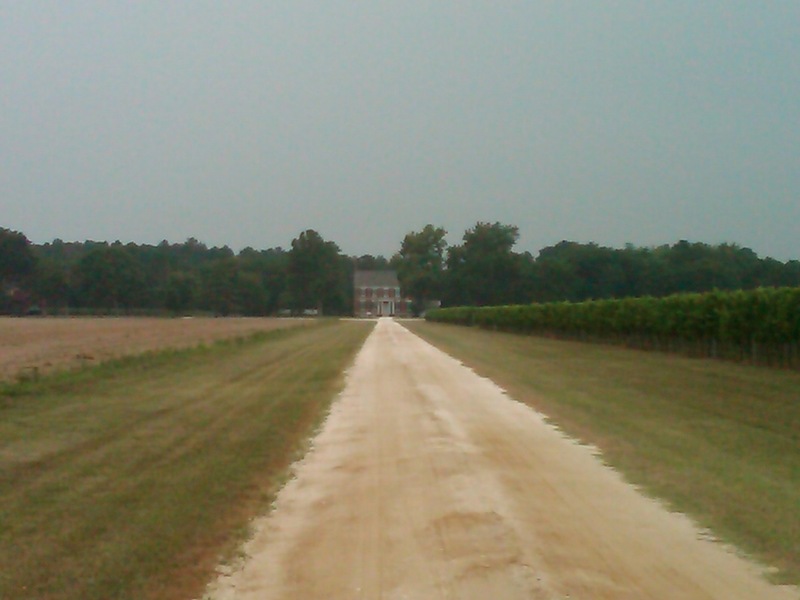 As the name suggests, the Eastern Shore AVA is located on Virginia’s eastern shore. The ‘Shore is a charming peninsula comprised of small towns and family farms framed by the Chesapeake Bay on one side and the Atlantic Ocean on another. Cornfields and grain silos seem to envelop every road – roadside vegetable, fruit, and seafood stands showcase the Shore’s ‘local’ agriculture and seafood trade and serve as a way of life for many families. The Eastern Shore is also home to the famous Chincoteague Pony Swim – an annual roundup of wild horses that normally inhabit one of the barrier islands. My wife and I had the chance to (re)visit Chatham two weekends ago during our annual summer pilgrimage to her family’s beach cottage. Not only do I enjoy Chatham wines, a winery visit also provides a respite from the in-laws for a couple hours. Chatham Vineyards, established in 1999, is owned and operated by John and Mils Wehner. Chatham currently has 20 acres under vine, 10 of which are planted to Merlot. (Editorial opinion here – I’d tear up some of that Merlot and go with more Cab Franc and Petit Verdot plantings. Of course, easy for me to share my opinion, as I’m not the one with the financial and time investment in the current Merlot plantings.) Adjacent to the tasting and barrel facility is an stately family home, set at the end of a gravel/oyster shell road – so ideallyic. Chatham Farm The land at Chatham, which overlooks Church Creek, was patented in 1640. The Federal-period brick house, Chatham, was built in 1818 by Major Scarborough Pitts and named for William Pitt, the Earl of Chatham and friend of the American Revolution. The historic outbuildings, barns and two early 1900s homes on the property have been renovated in recent years. Chatham Farm has been a working farm for four centuries. 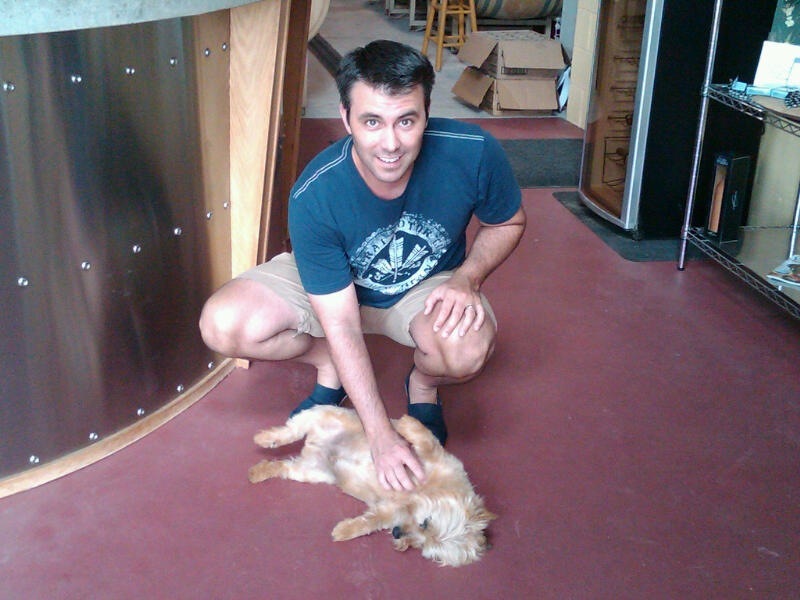 As we entered the tasting room, Wilbur – one of the nicest little winery dogs you’ll ever meet, greeted us. No, Wilbur is not dead - this is just his ploy to get belly rubs... which worked. Mils led our tasting through six Chatham wines and she graciously opened their Petit Verdot for us to taste as well (which was excellent). As of right now, Chatham is currently producing ~3,000 cases annually with room to expand to 5,000 cases. In addition to enjoying Chatham wines, I really dig the price points – which range from $14/bottle to $22/bottle, great QPR. Of the wines we tasted that afternoon, the steel fermented Chardonnay was my favorite – which may have been skewed by the fact that it was very hot and we were heading back to the cottage for a dinner of fresh caught blue crabs. 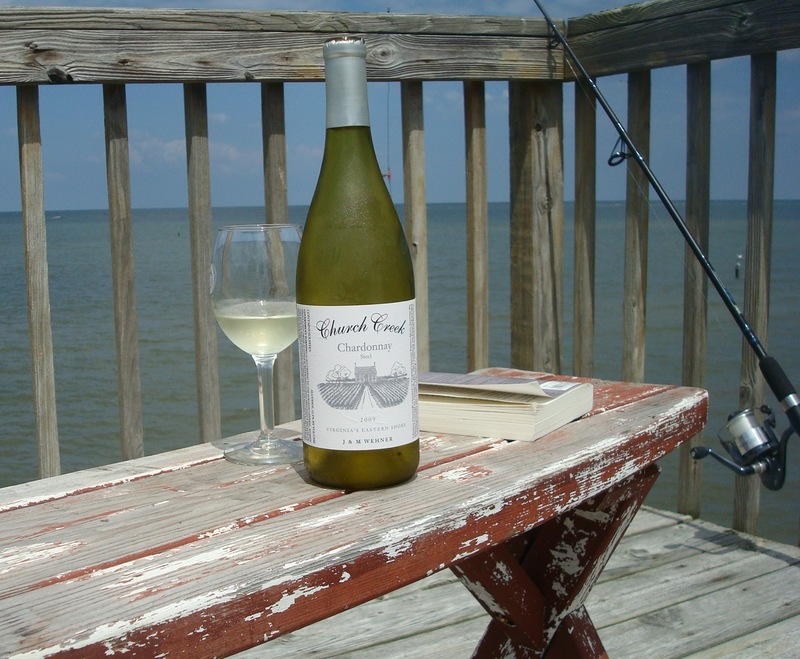 Steel fermented Chardonnay is the perfect accompaniment to steamed crab claws with Old Bay and crab cakes. Chatham Vineyards 2009 Steel Fermented Chardonnay – $15/bottle. I’ve had three vintage of this particular wine, and still seem to favor the 2007 (if my old tasting notes are worth relying on). This bright, crisp Chardonnay paired perfectly with the crab – lots of grapefruit and lemon throughout complemented by green apple and stone. Looking for a relaxing weekend to unplug? 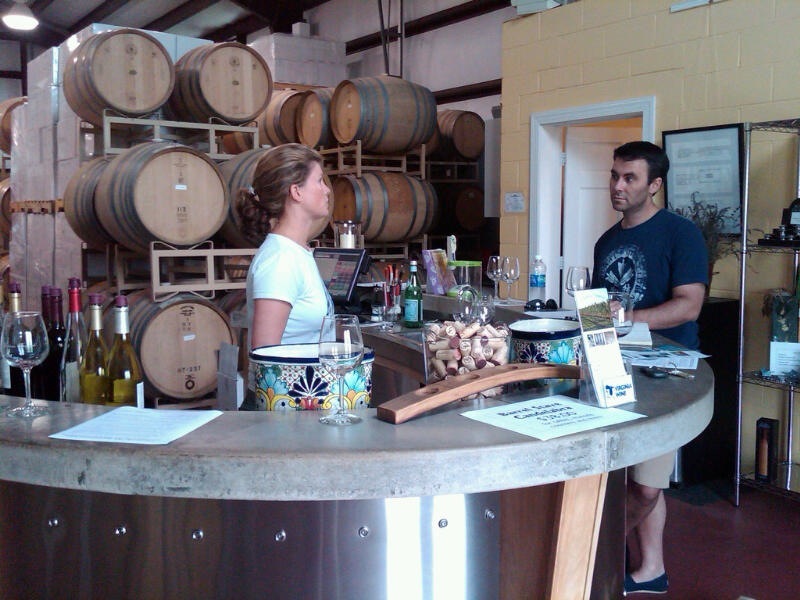 Consider visiting the wineries of Virginia’s Eastern Shore. Virginia wine, fresh Virginia seafood, and beautiful sunset... perfect ending to a day. Nice post. Wilbur looks dead, but maybe he had too much “juice” or fell victim to your charms? You should become the “Wine Dog Whisperer”. Still trying to find Virginia wines out this way without resorting to buying direct and the shipping costs. Hi Marcy! Always like vineyard dogs… especially the passive ‘rub my belly while you’re here’ dogs. Although our two doxie’s yap alot, they are fans of the belly rub too. I may have some wine coming your way…. Thanks for the great post! I’ve been wanting to check out the Eastern Shore and have had a hard time finding anyone that knows much about those wineries. Thanks for stopping to comment Ann. 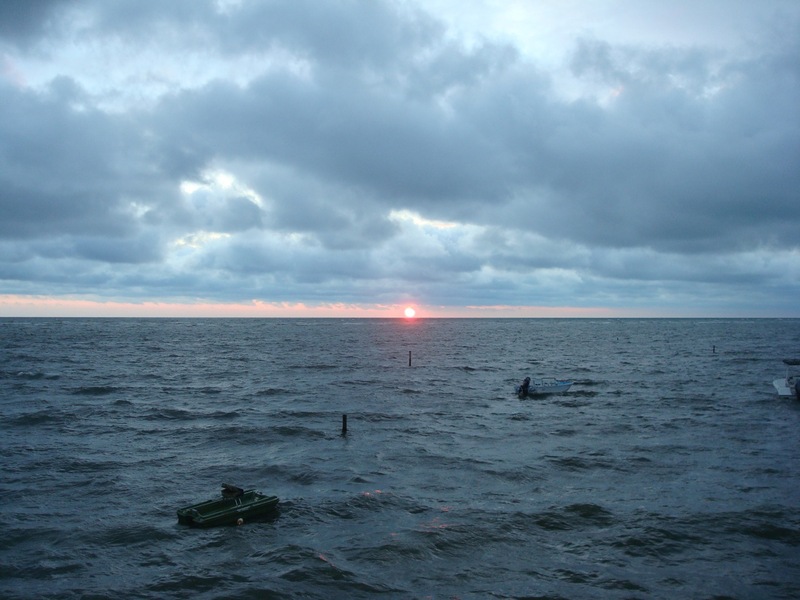 The Eastern Shore is really an oft overlooked gem… peaceful, quiet, and charming. I would like to organize a Virginia Wine Tweet up there one Saturday. I’ll have to see if others are interested. Great post! Wine is great when paired with food… like oysters! Thanks for the article and photos! This winery is near the top of my must visit list and it would be nice to go and stay on the Eastern Shore for a few days to really enjoy it. Some friends went last year and said it was like leaving the planet – and they loved the wines at Chatham.